NLPIR Big Data Lab. 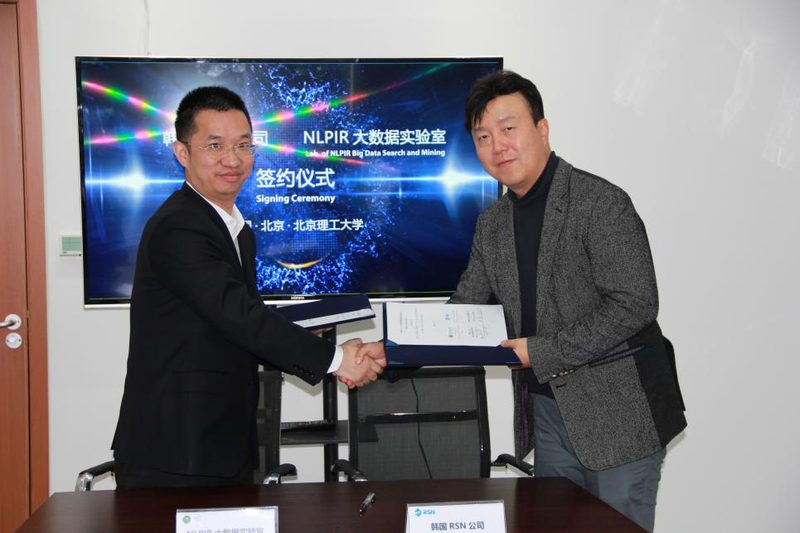 of BIT Signed Cooperation Contract with Korea RSN Inc.
On the morning of April 9, 2019, NLPIR Big Data Lab held a cooperation signing ceremony with South Korea’s RSN Corporation (Restructure Social Network). 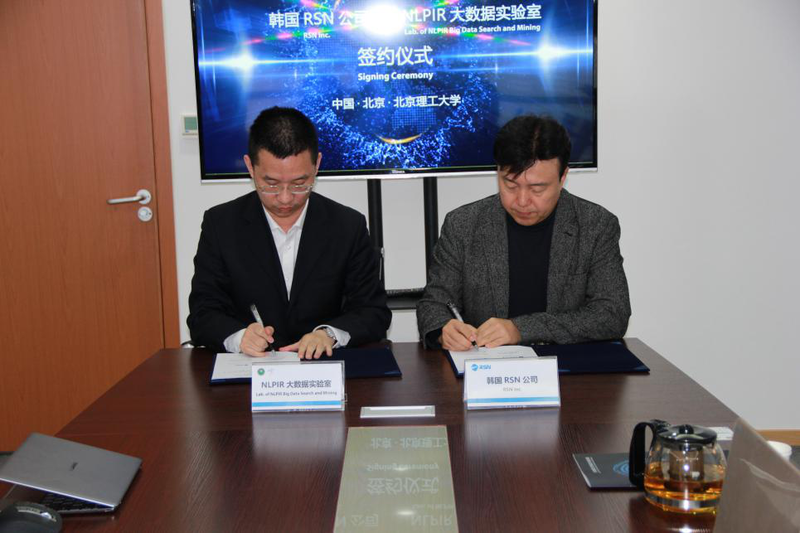 Associate Professor Zhang Huaping and Deputy General Manager of RSN Lee Young Soo attended the signing ceremony to promote in-depth application of Chinese big data semantic intelligence analysis in Korea. To begin with, Associate Professor Zhang Huaping and Deputy General Manager of RSN, Lee Young Soo, delivered speeches. Both parties expressed their commitment to work together in the future, to deepen the scope of their collaborative efforts and jointly promote the development of semantic intelligence technology. Finally, Director Zhang Huaping and RSN Lee Young Soo signed the cooperation agreement on behalf of both parties. The signing of the strategic cooperation agreement aims to jointly promote the application and development of Chinese text analysis technology in various fields in Korea. Moreover, it intends to provide comprehensive and in-depth insights for Korean companies in China through intelligent technology-based application analysis to help enterprises make sound business decisions and for strategic deployment. The two sides will fully leverage from each other’s technical achievements in social data collection and analysis, and carry out deeper strategic cooperation in relevant technical fields such as Chinese analysis. RSN is the No. 1 company in the Korean social network mining market, and has already served the market monitoring and analysis of multinational companies such as Samsung, LG and L’Oreal in Korea.